The Japan Society is a Screen Partner of Shin Godzilla! Godzilla is back and bigger than ever! 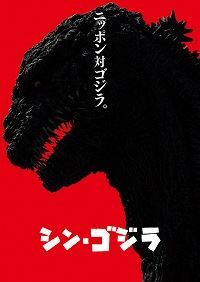 In the 29th film of the popular series a crack team of misfit scientists must confront insurmountable political and bureaucratic red tape to save Japan and its people from Godzilla, an indestructible 300 foot creature that can unhinge its jaws to unleash firestorms or cut skyscrapers in half with an intense heat beam. When the American military orders a nuclear attack on Tokyo to contain the beast, the deadly countdown is on…. Combining pointed social satire, an all-star cast and awesome effects, Shin Godzilla is truly a monster hit!